If he is hanged, it will be in your name and mine. Choo Zheng Xi. The following article was published here on TOC on 5 December 2009. We highlight it again as the points raised in it are pertinent and relevant still – 6 months after the article was first written. Yong Vui Kong’s story will now be familiar with regular readers of The Online Citizen and the activist community, but alien to many Singaporeans who will go about their daily lives without batting an eyelid. This is largely the fault of the mainstream media, which have completely failed in their duty to explain what Vui Kong’s case means for individual Singaporeans. This needs to change. The justice system distinguishes between civil law and criminal law. Civil law is enforceable between individuals, whereas criminal law is enforced by the State. In the latter case, the State moves to punish acts deemed injurious to society. It acts on society’s behalf, through statutes passed by our elected representatives. When the State brings its criminal jurisdiction to bear, it acts on behalf of you and me. If Vui Kong is hanged, he will be hanged in your name and mine. The national media has given minimal attention to Vui Kong’s case and the obvious issues it raises about the fairness of the mandatory death penalty. While the mainstream media is sometimes unfairly criticized for its conservative reporting and commentary, its’ see-no-evil attitude to glaring defects in our criminal justice system crosses the negligent into the realm of the unconscionable. Forums and activities conducted by local anti-death penalty campaigners have gone unmentioned, and there is no national dialogue about the whether the mandatory death penalty is defensible. Why has the national media not initiated a debate into a practice which the UN Special Rapporteur on arbitrary executions says is prohibited by “almost every judicial or quasi-judicial human rights body in the world”? Our national media has blatantly failed to highlight countries across the Commonwealth that have invalidated the mandatory death penalty. A strange silence for a press that delights in comparing Singapore to other countries when it comes to economic indicators. Consider that as far back as 1983, the Supreme Court of India in Mithu v. State of Punjab held that “The legislature cannot make relevant circumstances irrelevant, deprive courts of their legitimate jurisdiction to exercise their discretion not to impose the death sentence in appropriate cases, compel them to shut their eyes to mitigating circumstances and inflict upon them the dubious and unconscionable duty of imposing a preordained sentence of death”. Judgments from the Privy Council (to which our Courts still cite as persuasive authority) to the Constitutional Court of South Africa, to the Inter-American Commission and the Supreme Court of the United States of America have all disapproved of the mandatory death penalty in one form or another. How can such worldwide opposition to the inhumanity of the mandatory death penalty across different legal cultures and jurisdictions be met with deafening silence in our mainstream press? Excellent legal reporters like Ben Nadarajan and K C Vijayan have suddenly gone mute, just when their voices might really matter. The Online Citizen’s 18-year-old reporter Koh Yi Na put them to shame with her coverage of the recent High Court’s stay of execution. Thanks to the mainstream media’s silence, the vast majority of Singaporeans haven’t been given an opportunity to debate whether or not we believe 19 year old Vui Kong should be put to death. Put to death without regard for his lack of a prior criminal record, his tragic family circumstances, the possibility that he can be reformed, or whether or not an alternative punishment might suffice. Singaporeans need to be asked to weigh two competing visions of our criminal justice system and decide which best represents our values: a compassionate Singapore where a second-chance is possible and punishment fits both the crime and the criminal, or a zero tolerance one-size-fits-all system of vengeance. The mainstream media has suppressed Vui Kong’s personal story of socialized corruption and eventual personal repentance, suppressed mention of his boyish frailty in the face of impending death, closed its eyes to his painful personal journey that ended on death row, a journey out of Sabah originally inspired by love for his mother. The mainstream media has perpetuated precisely what the mandatory death penalty seeks to do: de-individualize those it condemns. Vui Kong is just another common criminal, to be treated with absolutely no difference from a seasoned drug trafficker with criminal convictions to his name. Singaporeans need an opportunity to debate whether they feel this is just. The answer matters because if the hangman places his noose around Vui Kong’s neck and forever separates him from his mother’s embrace, the State is acting in my name and yours. 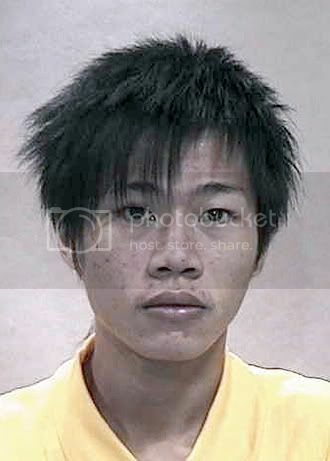 For more details on the status of Vui Kong’s case, see TOC’s report on the stay of execution granted by the High Court here: https://theonlinecitizen.com/2009/12/high-court-grants-rare-stay-of-execution-appeal/. The Court of Appeal will be hearing Vui Kong’s appeal this coming Tuesday at 10 am. Philip Alston, Report of the UN Special Rapporteur on extrajudicial, summary and arbitrary executions, 20 January 2007  See Reyes v The Queen,  2 App. Cas. 284 (P.C. ), and Queen v Hughes  2 App. Cas. 259 (P.C.) See State v. Makwanyane 1995 (3) SA 391  See Downer and Tracey v Jamaica, where the Inter-American Commission held, after looking at common law jurisdictions and human rights authorities, that “a common precept has developed whereby the exercise of guided discretion by sentencing authorities is considered to be a condition sine qua non to the rational, humane and fair imposition of capital punishment” and incompatible with provisions of the American Convention on Human Rights.